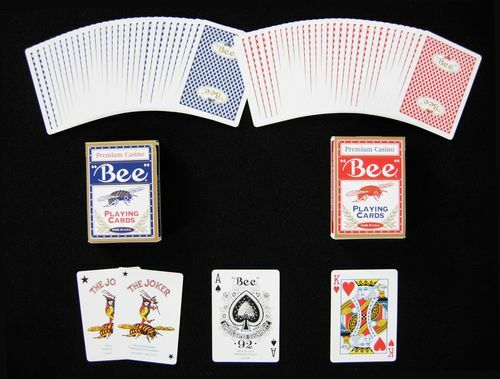 The Bee Premium decks come in two different versions. Both have the same diamond pattern as the Club Specials, and features a "Bumblebee" logo on the backs as well as the front of the box. The ones in the all gold box is borderless and has only a big Bumblebee on the backs. One of its Jokers are black-and-white with a guarantee. 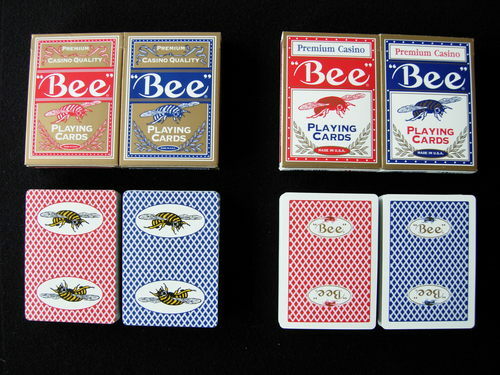 The ones in the gold bordered box has white borders, and the regular Bee logo along with a smaller version of the "Bumblebee" logo. 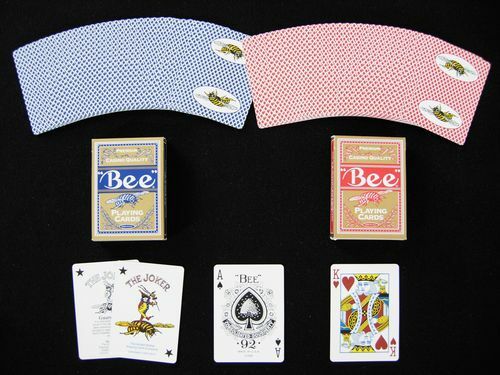 Both decks have standard Bee faces.